If you’re looking to remodel your home’s kitchen in Oldsmar, Florida, look no further than KitchenAlity for the highest quality products and fixtures, outstanding craftsmanship, and design experts who can turn your ideas into reality. Kitchens with personality is what we are all about, and we’d be happy to give your Oldsmar kitchen a new splash of style that is all your own. Before we perform any of these kitchen remodel services, though, we will meet with you to discuss what specifically you’d like to see your kitchen become. 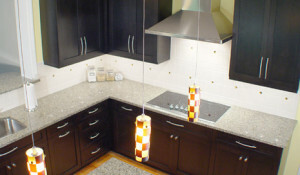 Then, we’ll take those specific ideas and use them as a solid foundation for your kitchen’s new design. And, we won’t just present you with any design plan, but a 3D rendering that allows you to view virtually every aspect of your new kitchen. So, before we ever get to work remodeling your kitchen, you’ll be certain that the finished product will be everything you want, if not more. For even more information about KitchenAlity and the professional kitchen remodel services we provide for Oldsmar, FL, homeowners, please contact us today for an in-home consultation with a member from our team.